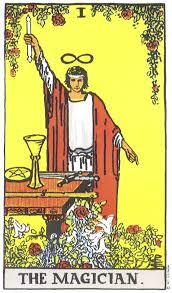 Ahhh, two of my most beloved subjects… fashion and Tarot. As a professional Tarot reader, you know my ears perked up when I heard about this. Last month, Dolce & Gabbana debuted their new fragrance line based on five cards from Tarot’s Major Arcana, with the idea “find the scent for your personality.” Here’s a quick look, some quotes from their interview with Elle, as well as some traditional Tarot imagery associated with the cards. Smells like: Bergamot, pink pepper, and juniper berry, rooted by cardamom, birch leaf, wood and musk. D&G says: Indicates someone with an open heart; an incurable romantic who is intensely desired by others. 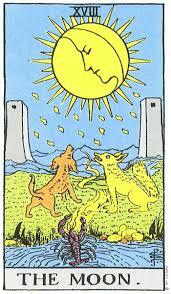 Alissa says: A card of immense personal power, and many find power seductive. So I’ll agree with D&G here. Smells like: Rhubarb, red currant and kiwi, with a floral heart, deepened by sandalwood, grapefruit and musk. D&G says: She’s a star, magnetic, energetic and charismatic — a real attention-grabber. Alissa says: She represents the Universal Mother, and would probably smell like baby poop and spitup, but D&G took meanings associated with “The Star” Tarot card and made this one into what they thought should be. Classic example of believing the Empress is an Emperor’s Wife. She’s not. She’s the Emperor’s Mother, and as such reigns with a different sort of control. 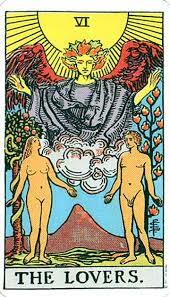 Alissa says: How do you take the concept of “Choice” (traditionally this card showed a man with TWO women, and the angel watching above) and turn that into a smell? Smells like: Lily, tuberose, and rose, blended with musk, sandalwood and leather. Top notes of bergamot and apple. D&G says: Someone in touch with her creative side, an alluring and ethereal free spirit; radiant, inspiring and mysterious. Alissa says: Um… ok. Represents facing your shadow self, your worst fears you hide inside, the you that you wish you weren’t, as well as the literary concept of The Dark Night of the Soul. Another airy-fairy interpretation of the card, and not accurate. 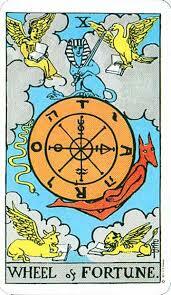 D&G says: Representative of luck and change, for “players” who enjoy surprises and rolling the dice of life.